*I received products to try for free in exchange for an honest product review. The Emior 4 Step Anti-Aging System really has tremendously helped my skin. I started using it about a week ago and I am super impressed so far. after each use. This is really a great product. More Information: Fights acne and minimizes breakouts. Purifies skin and lifts away impurities. Soothes skin inflammation. Minimizes the appearance of pores. Smoothens skin. Heals the skins. Reduces excess oil production. Emior Fruit Exfoliator: This is an amazing scrub that has a woodsy aroma and tiny little scrubbing particles that dig into my pores and extract all the trapped dirt and oil. One thing I noticed is that just a little of this product goes a long way. I was surprised at the great coverage from such a small amount. The product leaves my face super smooth and radiant. I have noticed a more natural glow after only a couple of uses. More Information: Revives dull & dry skin skin. Restore skin’s smoothness and glow. Detoxifies skin and revitalizes it. Reduces fine lines and sun damage. Improves product penetration and skin treatment results. Brightens the complexion. 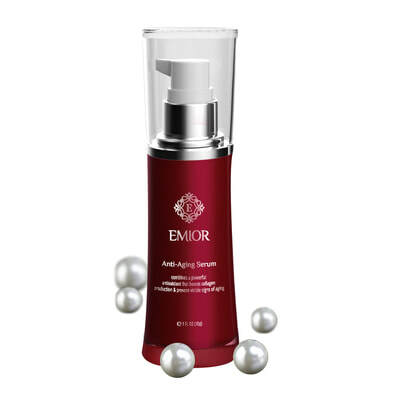 Emoir Anti-Aging Serum: I honestly had never heard of Snow Algae prior to trying this product. Apparently, it has powerful properties that truly make my skin look much healthier and youthful. I am seeing great results so far. My skin is much brighter, firmer, and moisturized since I began this regimen. UV rays that accelerate aging. 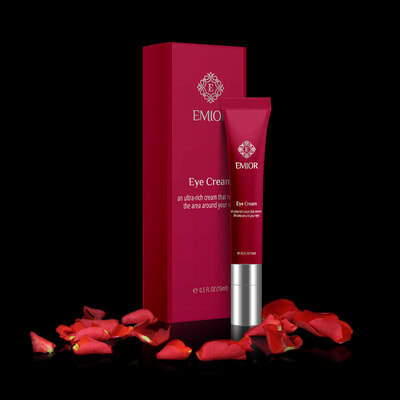 Emior Eye Cream: I honestly have had terrible luck finding an eye cream that has the desired results that I want until now. 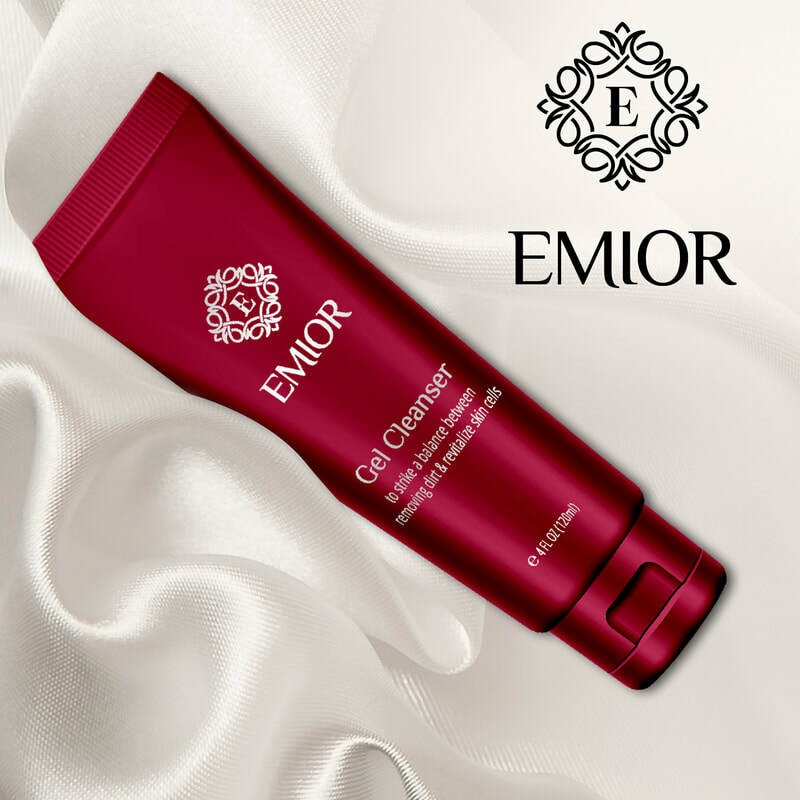 Emior eye cream is different. After a few days of using it regularly my dark circles began fading. It has been over a week now and I am seeing even more dramatic results. I have much less under eye darkness and decreased puffiness too. No more raccoon eyes. I love this product! More Information: Gently moisturizes the skin around the eyes. Highly effective natural ingredients for daily hydration. Dramatically lifts, firms and de-puffs your eyes while you sleep. Expertly balanced with soothing extracts. Breakthrough Formulas. Budget Friendly Solutions. Incredible Results. ​the precipice of the backlash against highly expensive and precarious cosmetic treatments and culminated at the discovery of a natural solution that effectively works on all your skin aging concerns with astonishing results.